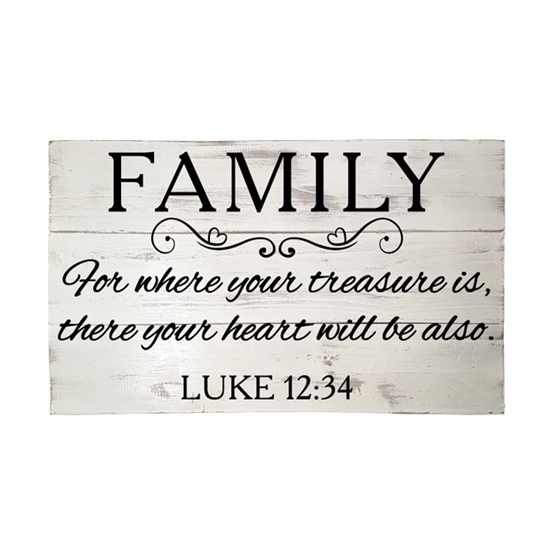 500 x 300 mm pallet sign with "Family, Where Your Treasury Is" lettering. Made out of reclaimed pallet wood. Sized at 300 X 500 mm, but may vary slightly. The sign has been treated with a non-toxic acrylic sealant before being painted and distressed. Vinyl lettering has been used to ensure that your pallet sign lasts. Protected with professional grade finishing products. Colours may vary slightly from the picture shown. Knots and slight curves in natural wood are expected and not to be seen as a defect. 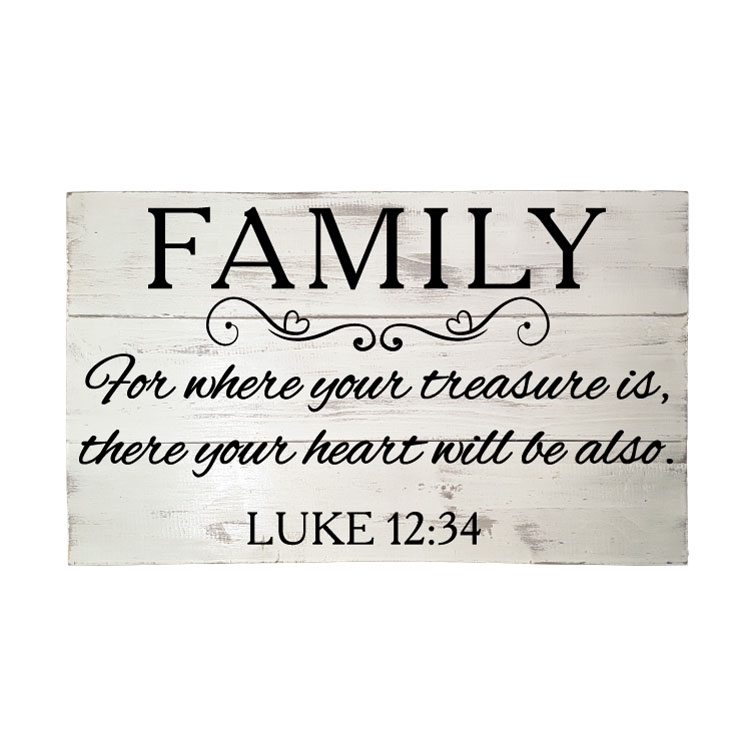 Expansion and contraction is the nature of wood and because of this, you can expect all pallet wood signs to shift over time. Usually this means the boards will pull apart slightly, adding another layer of beauty and vintage looking charm to the piece. 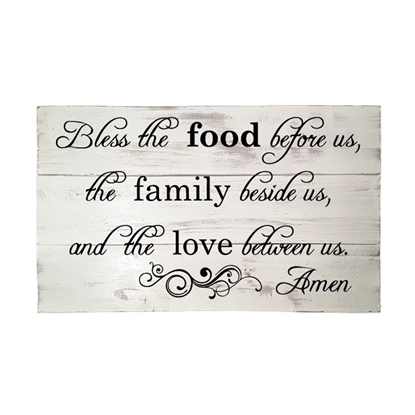 500 x 300 mm pallet sign with "Bless the Food Before Us" lettering.